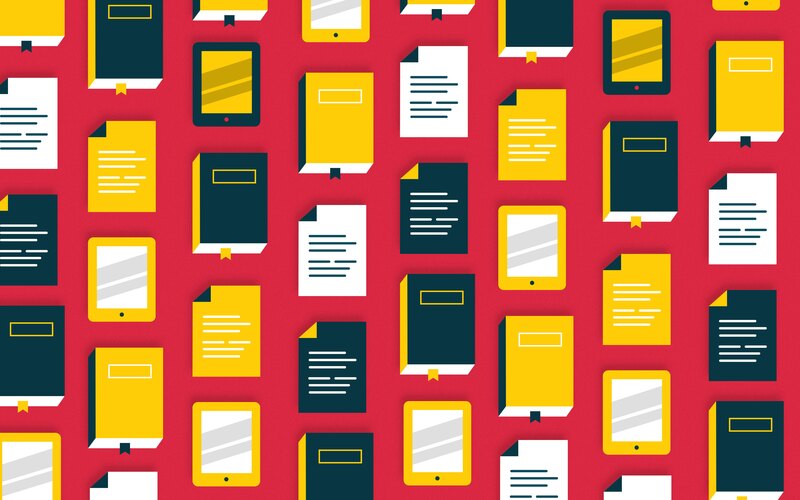 Every month we bring you the best new Japanese learning resources we can get our hands on, and this month we have some excellent finds: a book that teaches kanji in context, an app that shows you what manga are at your level, and two stellar apps that help beginners get a grasp on reading. 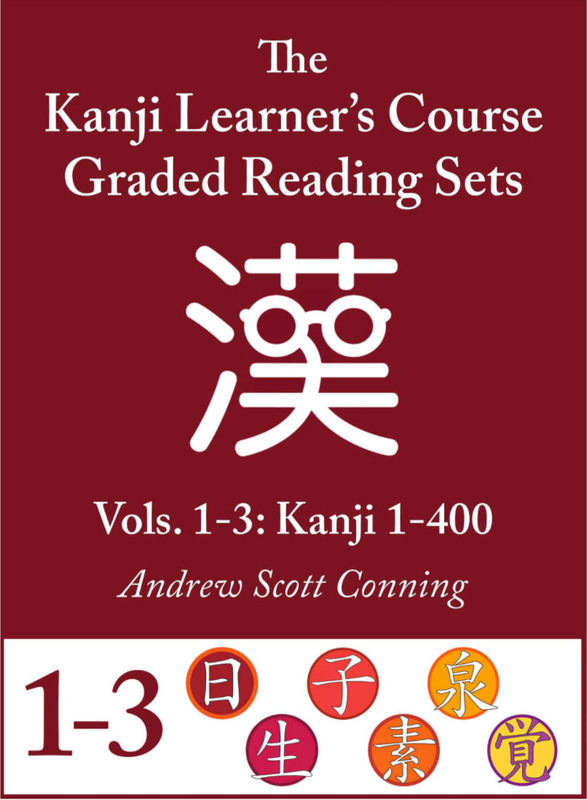 A new series called The Kanji Learner’s Course Graded Reading Sets by Keys to Japanese just came out this month. As the title suggests, the three volumes currently available offer sentences that correspond with The Kodansha Kanji Learner’s Course book. While it may not look like the typical “graded reader” (which usually take the form of short stories or kids’ style books), this series does follow the most important rule: it only introduces kanji that you already know. Now, there are a few caveats. This book assumes you “know” kanji because you’ve been using the corresponding textbook and that you already have some knowledge of Japanese grammar and non-kanji words. This is not a graded reader for absolute beginners of Japanese. But if you’re already a fan of Kodansha’s KLC, then this is an absolute must to help you start reading real Japanese. For each kanji there are sentences covering all of its possible readings. The first few entries have tons of grammar glosses to help you fill in the gaps of your knowledge. These glosses even have references to popular grammar resources like Genki, Tobira, and the Dictionary of Japanese Grammar series, where you can learn more about a given grammar point. While only the first three of the eventual nine-series set have been released, they cover the first 400 kanji taught in the KLC. The entire series will support sentences for 2,300 total kanji. That’s even more than all of the Jōyō kanji! And if you have questions about, you can ask them on their Facebook page. Or you can just use it to track your progress and make some Japanese learning friends! You should be learning kanji anyway and these are ordered from easiest/most common to hardest/least common. 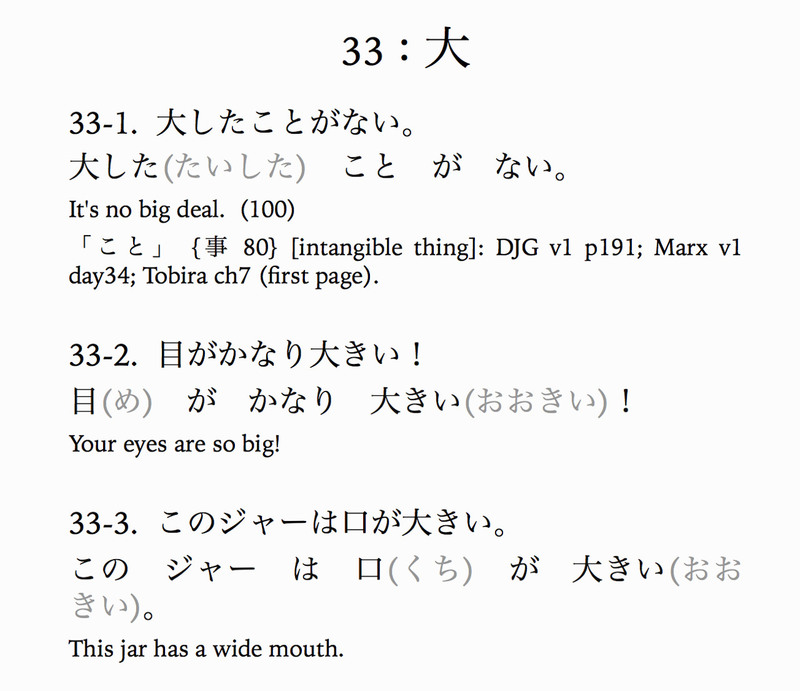 Odds are, no matter what you’re using to study kanji, these sentences will be helpful. If you’re using any of the grammar resources we mentioned above, you can use these sentences to help reinforce that learning too! It’s a win-win. Oh, and the first book? Absolutely free. If you don’t have an iOS device or a Kindle you can just download and use the PDF at no cost! So at least take a look and see if this is the context sentence resource of your dreams before you move on. This app has been around for a while, but some recent changes have turned it into an entirely new resource!. The new KANJI JLPT N5 app has a simple, pleasant design and teaches the kanji and vocabulary needed to pass the JLPT N5 test (the first and lowest level). But that’s not why we like it. 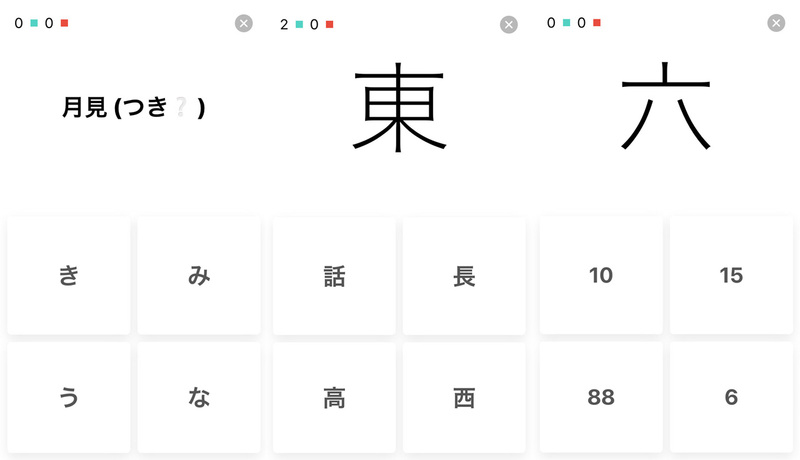 The app itself offers a number of different practice quizzes to help you remember and solidify your kanji and vocabulary knowledge. There are four basic quizzes: easy, medium, difficult, and words. The first three are for kanji and the last is just vocab words (obviously). There’s even more variety though. Before you start one of the four quizzes you have the option to take either a “Japanese > English” or “English > Japanese” version. This may seem like a minor feature, but very few apps offer “English > Japanese.” Going both ways helps you practice more than just recall. Beyond all this, the final quiz option is to make your own using the kanji in the app. Do you have a couple kanji you always get wrong? 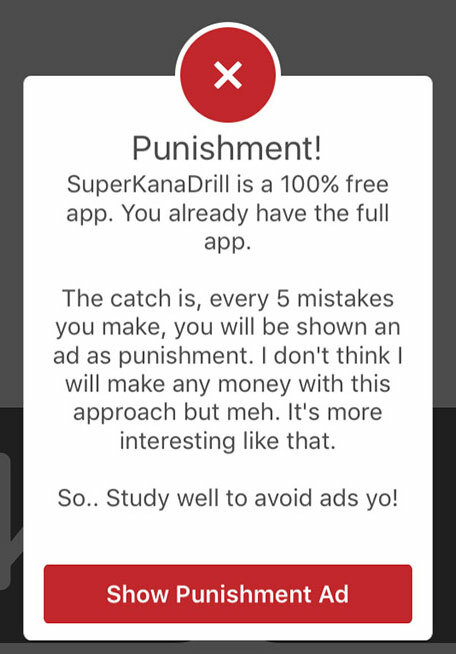 Put all of them in a custom quiz so you can study your problem kanji! The only issue with this app is there is no option to type in your answer. As you may already know, multiple choice is not a good way to test your knowledge in something. The best way to see if you know something is to force yourself to write or speak it. However, this app is for JLPT N5, the easiest level there is. So we understand if you want to cut yourself some slack. Just know you’ll have to graduate from this app eventually. The new KANJI JLPT N5 app has a simple, pleasant design and teaches the kanji and vocabulary needed to pass the JLPT N5 test. Anyway, once you’re done having fun and acing quizzes, the front page of KANJI JLPT N5 puts little blue-green marks next to kanji you’ve been getting correct and little red marks next to kanji you’ve been getting wrong. That way you can easily see your problem areas and correct them. If you’re a beginner just trying to pass N5, this is a nice little app to help you get there. It isn’t all you need (there’s no grammar or reading comprehension) but for kanji and vocab it’s a nice start. There weren’t many “made to teach you Japanese” resources that came out this month so now it’s time for the honorable mentions! These can be used to help you learn and practice your Japanese (but kind of in a roundabout way). You may not need them, but they could be helpful to your studies. Wakarukana is a weird little website that popped up at the end of the month. It does something new and unique that may or may not be really helpful. We’re honestly not 100% sure yet. 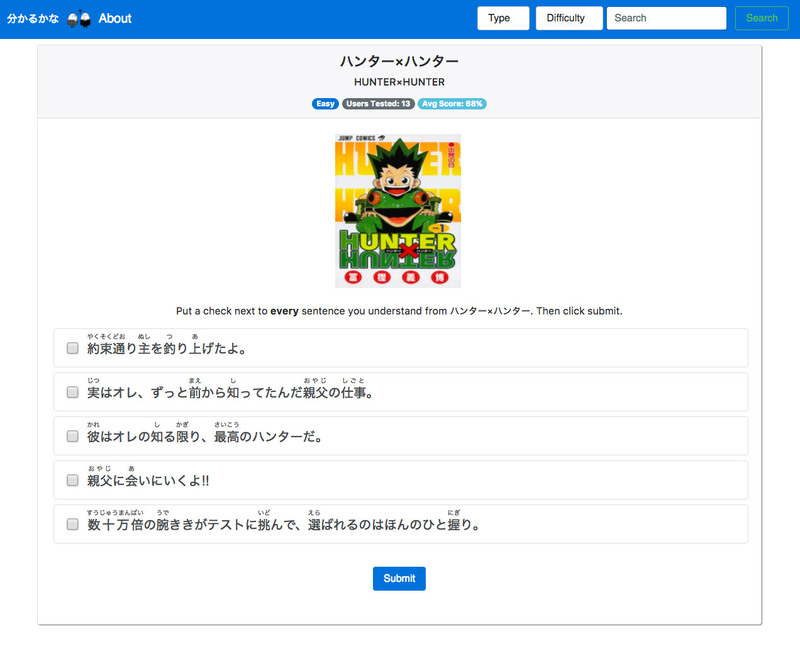 The site offers a (growing) number of Japanese texts and media including manga, books, and anime. You can sort by category and five difficulty levels: very easy, easy, medium, hard, and very hard. When you find a manga, book, or anime you want to get into, click on it and you’re brought to a page with five sentences from that series. These five sentences are random, and representative of the difficulty level that book or show presents. You read the sentences, and if you can understand them completely, check the little boxes next to them (or don’t) and the site tells you how easy reading or watching that thing will be for you. One big plus: for manga and books, the sentences include or omit furigana where the original text does (or does not). That way you know if it really is your level. You should only be looking for books that have furigana on words you aren’t familiar with, otherwise you’re cheating yourself. One big negative: anime audio was just added and the quality isn’t quite there yet. But for a site that literally just launched and started feverishly expanding its content, we weren’t expecting audio at all. For now, we recommend avoiding the anime section completely until it improves. If you want to try reading more native Japanese material, you can use it as a quick check to see if said material is above or below your current abilities. You should still look for actual examples before you buy them in person or online, but as it grows, Wakarukana could be a nice, quick way to find new Japanese media to consume. 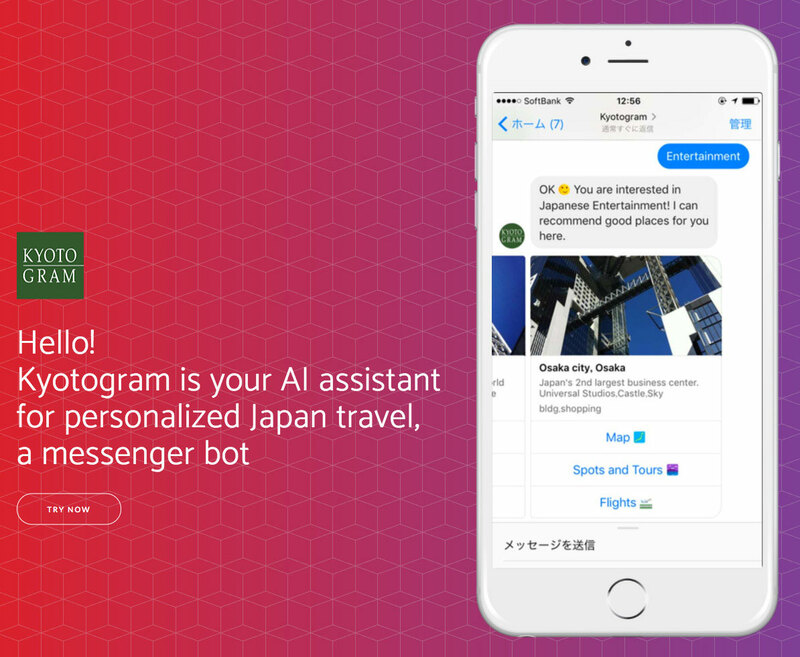 Similar to Tabiko, which we covered in April, Kyotogram AI Chatbot is a bot you can talk with to help plan your trip to Japan! But instead of relying on a specific type of smartphone app, all you need to do is have Facebook Messenger installed and you can start getting advice on booking flights and hotels, finding cheap restaurants, and all the other tourist questions your little heart needs answered before you make your way to Japan. You choose the city and the type of help you’re looking for, and then the bot immediately sends you lists of options to choose from. I won’t go too deep into this, but I do want to say: if the reason you haven’t gone to Japan to start using Japanese is because you don’t know where to start, start here. It’s just a bot. It’s not a person (though it was designed by them) so you don’t have to be embarrassed. Just plan an imaginary trip if you want. But remember, the best way to practice your Japanese is to actually use it with real humans. So go for it! If you just want to read Japanese to play games, you should pick up this book; it’s right up your alley! The Legends of Localization team at Fangamer, who brought us such hits as Legends of Localization Book 1: The Legend of Zelda and Legends of Localization Book 2: EarthBound (which we covered in February) is back with a new, much smaller, much less intense book called This be book bad translation, video games! 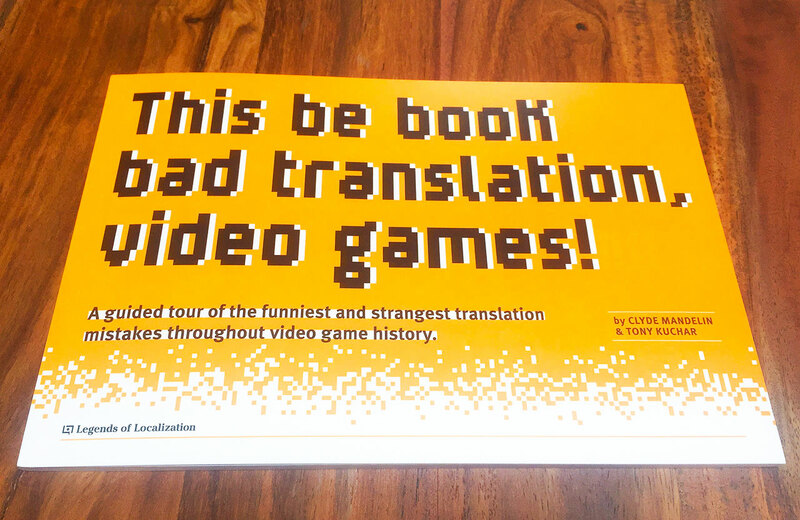 It’s a book about strange and entertaining mistakes in video game translation history. If you’ve been following this series, this book is like a mini-version of Retro Game Super Translation Selection we covered last month. However, this wasn’t written for a Japanese audience and translated into English. It was written with an English-speaking viewpoint in mind. It covers the various issues surrounding all these sad, sad translations: why they exist, the effects they had, and why we really shouldn’t ever let computers translate our human languages. While it doesn’t actually contain any Japanese or Japanese-English comparisons, like Retro Game Super Translation Selection, it does go into a brief history of Japanese and English, their interactions with each other, as well as common issues in commercial translation. 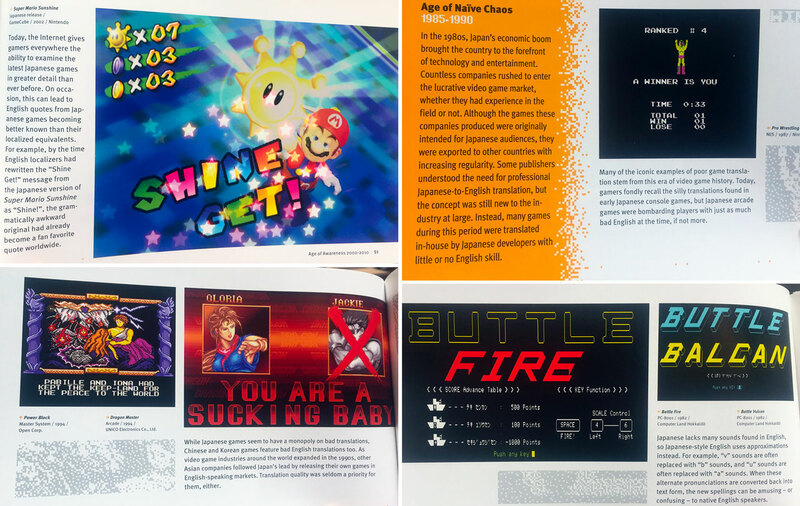 And the book tells you why Japanese games include so much awkward, bizarre English, and why translations of Japanese games have so many super funky typos. If you just want to read Japanese to play games, you should pick up this book; it’s right up your alley! It’s great motivation because, hey, everybody makes mistakes, even giant game companies. Plus, you get to see the way Japanese does and does not work when it comes to translating it into English (and vice-versa). As always, we’re constantly asking you guys (yes you, dear reader) to send in any awesome new Japanese resources you think we should add to this list. And this month we learned about two we missed from earlier this year! First, I want to start by saying a big thank you to Michelle W. for sending this our way. We would have completely missed it if not for her! No Japanese class you ever take will teach you sentō etiquette. There are certain rules you won’t be able to learn unless you have an old homestay grandpa or… you watch this show. Sunshine Sento Sake is about a young salaryman who works for an advertising company and isn’t very good at his job. Instead of looking for more customers around the city, he ends up going to the local sentō (a specific type of public bath in Japan) and then getting a beer and some beer-appropriate foods. The show doesn’t quite meet the production quality of Samurai Gourmet, but it does have all the same charm. Why is this important for you, a Japanese learner? Because going to sentō is something everyone should do at least once or twice in their lifetime! They’re disappearing, you know! Young people just don’t go to sentō like they used to, so they’re all shutting down! What I mean to say is, no Japanese class you ever take will teach you sentō etiquette. There are certain rules and customs and things you just don’t do; things you won’t be able to learn unless you have an old homestay grandpa or… you watch this show. Oh yeah, and the Japanese is perfect for late-beginner to intermediate types who want to learn all about sentō: paying, where to put your clothes, where to put that towel (at least if you’re a person with 金玉), when you should bathe, and what different sentō offer. There’s also a whole bunch of other things about work language, restaurant ordering, and much more. There are 12 episodes and they all have English subtitles (no Japanese, I’m afraid). You need an Amazon Prime account to watch, but it seems like all of us have one at this point. Prime Day may be a bust, but hey, adorable Japanese shows to study with + two day shipping is totally worth it, ね? 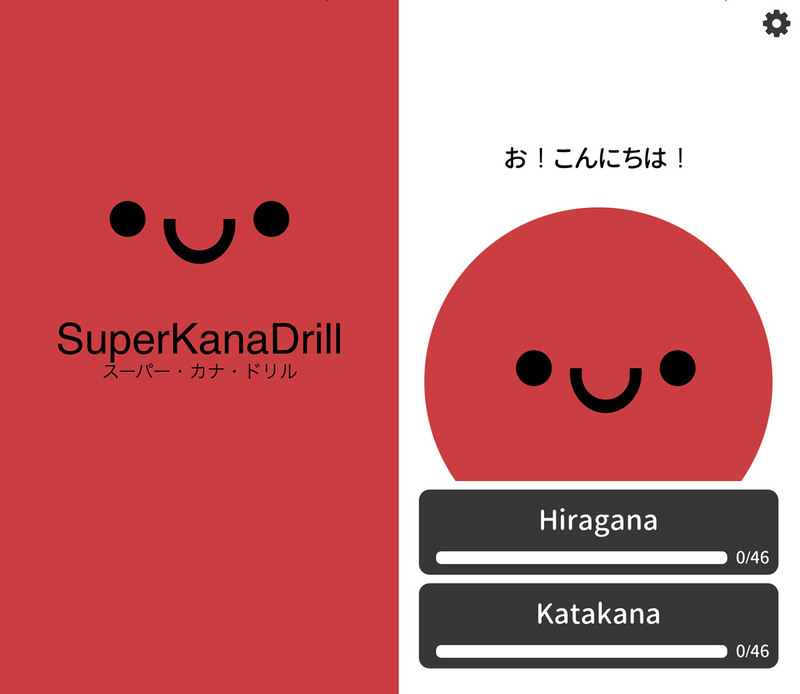 Last, but not least, we also missed this resource from March called SuperKanaDrill: Learn Japanese Hiragana & Katakana, a cute little app for beginners to learn hiragana, katakana, and about 80 super common words. It’s clean, simple, and teaches the basics of hiragana and katakana for free. It’s all nice and random, which is good for your brain. But there is a catch – every five mistakes you are shown an advertisement as punishment. The first time you do it you get a little message (pictured right). Pretty good motivation, I’d say. Other options include toggling the English in the overview on/off as well as changing the amount of your reviews from 5, 10, or 20. If you’re trying to get into Japanese for the first time, this free app could help start you on your way!